There are lots of people daily uploads videos on youtube. The videos are basically some kind of tutorials, vlogs, or something other than that. There is a question that always clicks in your mind when your youtube thumbnail option opens. How can you create an awesome thumbnail that generates traffic to your youtube channel? Well, the answer is very simple, in recent times there are tons of easy and free ways through which anyone can create extra-ordinary thumbnails without having any prior knowledge of designing, and editing. There is free software on the internet available for the beginners where they just need to drag and drop to create high-quality professional thumbnails. 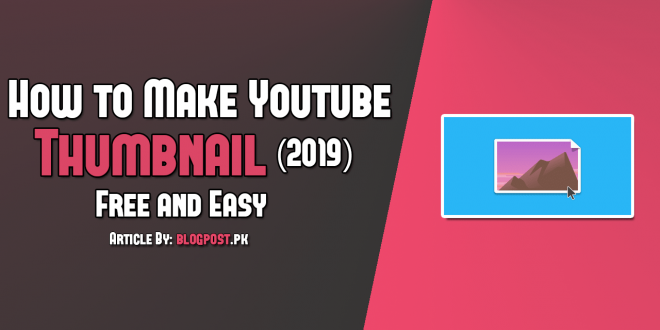 So, without any delay, I am starting teaching you with some quick tips to start creating your own custom designed thumbnail easily. 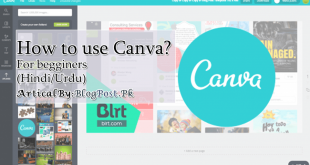 Step 1: First of all Search Canva on google and open it. Step 2: Create your account through google or facebook. Step 3: After Creating your account, Go to your home page, and click on ‘Create a design’ option. Step 4: It will show a search bar option, Just type-in ‘Youtube Thumbnail’ and it will take you to the design phase. Step 5: After Completing the fourth step, now just check the video posted below to know the other part of this amazing thumbnail editing.